A pitcher who opened the door for Japanese players in the major leagues and a reliever who shut down batters on both sides of the Pacific were inducted into Japan’s Baseball Hall of Fame. Hideo Nomo became the youngest inductee on Jan. 17 at 45 years and four months. 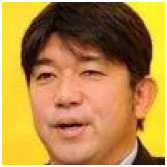 He is six months younger than fellow inductee Kazuhiro Sasaki, 45. Koji Akiyama, an outfielder with the Seibu Lions and later Daiei Hawks, and the late Choichi Aida, who contributed to Japanese collegiate baseball during and after World War II, were also inducted. When Nomo joined the Los Angeles Dodgers in 1995, he was initially criticized in Japan for abandoning his team and league. But the “Tornado” stuck to his dream of pitching in the majors. His dedication and success would encourage the Nippon Professional Baseball players who followed him, including Ichiro Suzuki, Hideki Matsui, Daisuke Matsuzaka and Yu Darvish. Nomo played for seven major league teams, threw two no-hitters and was named Rookie of the Year. He played for the Kintetsu Buffaloes in the NPB and had a record of 78 wins and 46 losses, with 1,204 strikeouts. His MLB career record was 123 wins, 109 losses and 1,918 strikeouts. His induction came weeks after he failed to gain entry into Cooperstown in his first year of eligibility. He also did not obtain enough votes to remain on the ballot for future consideration. Sasaki was a relief pitcher for the Yokohama BayStars before he joined the Seattle Mariners in 2000. He was named Rookie of the Year for his 37 saves, and had a total of 381 saves in NPB and the majors. He expressed surprise and pride at being inducted at the same time as Nomo. “Nomo was the ace pitcher for the Japan team heading to the Seoul Olympics, and at that time I was the batting practice pitcher when the team was practicing in Sendai,” Sasaki said.